Summary: Researchers have identified that some physical diseases tend to occur more frequently in young people who have previously suffered from certain mental disorders. The researchers noted that some physical diseases tend to occur more frequently in children and adolescents if they have previously suffered from certain mental disorders. NeuroscienceNews.com image is for illustrative purposes only. “For the first time, we have established that epilepsy is followed by an increased risk of eating disorders – a phenomenon, that had previously been described only in single case reports. This suggests that approaches to epilepsy treatment could also have potential in the context of eating disorders,” explains Marion Tegethoff, the study’s lead author. From a health policy perspective, the findings underscore that the treatment of mental disorders and physical diseases should be closely interlinked from an early age on. 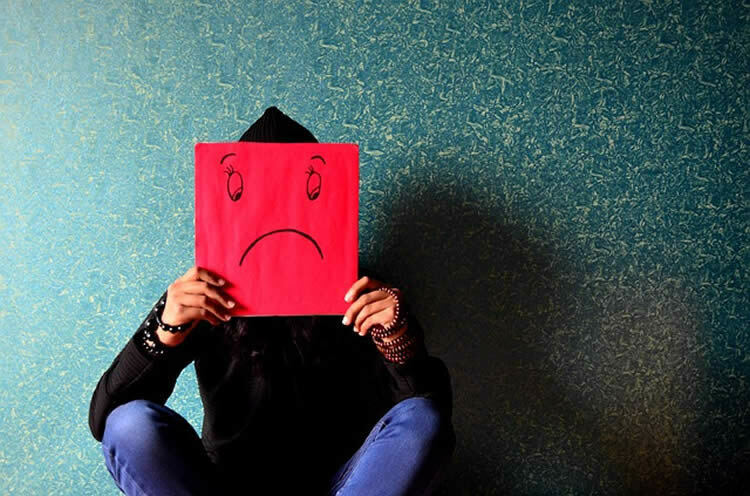 University of Basel “Depression Affects the Stomach and Anxiety Affects the Skin in Young People.” NeuroscienceNews. NeuroscienceNews, 25 November 2016. University of Basel “Depression Affects the Stomach and Anxiety Affects the Skin in Young People.” http://neurosciencenews.com/anxiety-skin-depression-stomach-5595/ (accessed November 25, 2016). The objective was to estimate temporal associations between mental disorders and physical diseases in adolescents with mental-physical comorbidities. This article bases upon weighted data (N = 6483) from the National Comorbidity Survey Adolescent Supplement (participant age: 13–18 years), a nationally representative United States cohort. Onset of Diagnostic and Statistical Manual of Mental Disorders, Fourth Edition lifetime mental disorders was assessed with the fully structured World Health Organization Composite International Diagnostic Interview, complemented by parent report. Onset of lifetime medical conditions and doctor-diagnosed diseases was assessed by self-report. The most substantial temporal associations with onset of mental disorders preceding onset of physical diseases included those between affective disorders and arthritis (hazard ratio (HR) = 3.36, 95%-confidence interval (CI) = 1.95 to 5.77) and diseases of the digestive system (HR = 3.39, CI = 2.30 to 5.00), between anxiety disorders and skin diseases (HR = 1.53, CI = 1.21 to 1.94), and between substance use disorders and seasonal allergies (HR = 0.33, CI = 0.17 to 0.63). The most substantial temporal associations with physical diseases preceding mental disorders included those between heart diseases and anxiety disorders (HR = 1.89, CI = 1.41 to 2.52), epilepsy and eating disorders (HR = 6.27, CI = 1.58 to 24.96), and heart diseases and any mental disorder (HR = 1.39, CI = 1.11 to 1.74). Findings suggest that mental disorders are antecedent risk factors of certain physical diseases in early life, but also vice versa. Our results expand the relevance of mental disorders beyond mental to physical health care, and vice versa, supporting the concept of a more integrated mental-physical health care approach, and open new starting points for early disease prevention and better treatments, with relevance for various medical disciplines.